A fantastic large wooden jigsaw puzzle for a preschooler or early primary school age child! 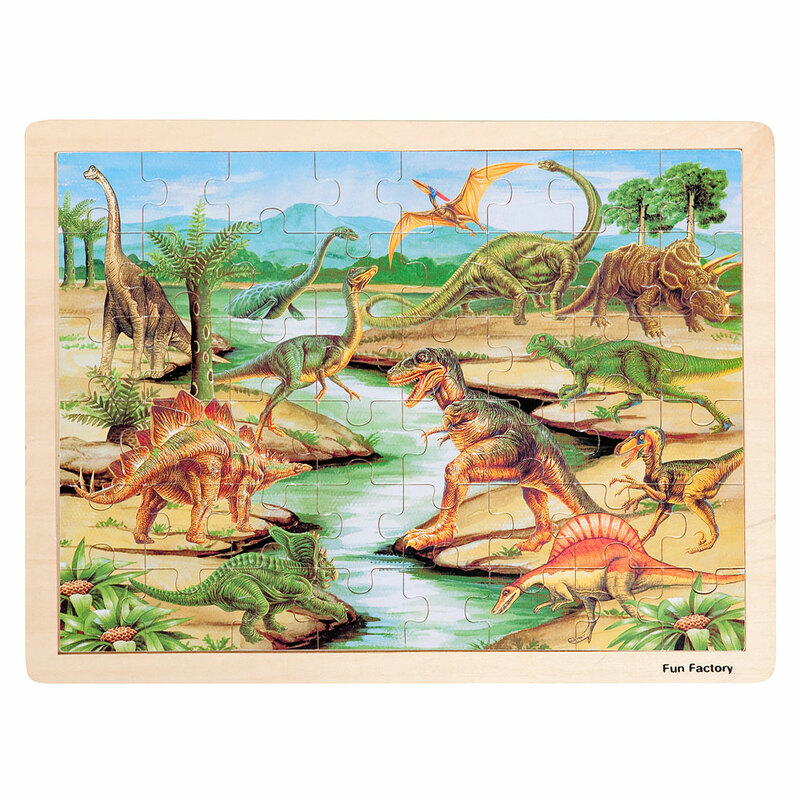 Your child will love solving the puzzle to create a scene from millions of years ago when dinosaurs roamed the Earth! We love the realistic style of the scene - though you might never have seen so many different dinosaurs in the same location, your child will be able to imagine themselves in a prehistoric land. This picture will excite little imaginations... Whether completed with help or independently, your child will feel an immense sense of achievement seeing all the pieces in place. * Large Wooden Dinosaur Jigsaw Puzzle ships as a large parcel and does not qualify for FREE SHIPPING offers.